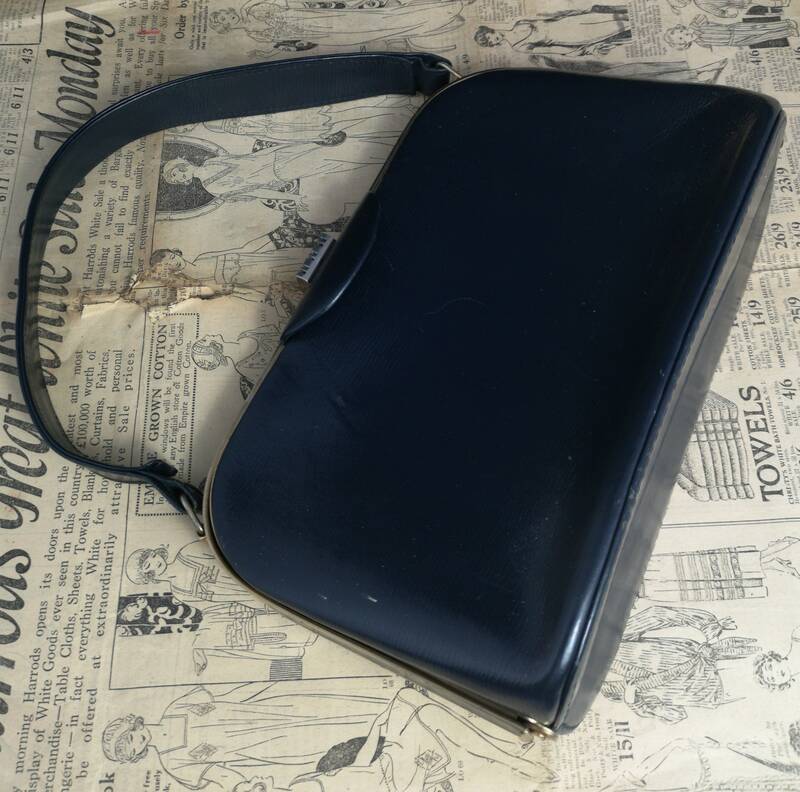 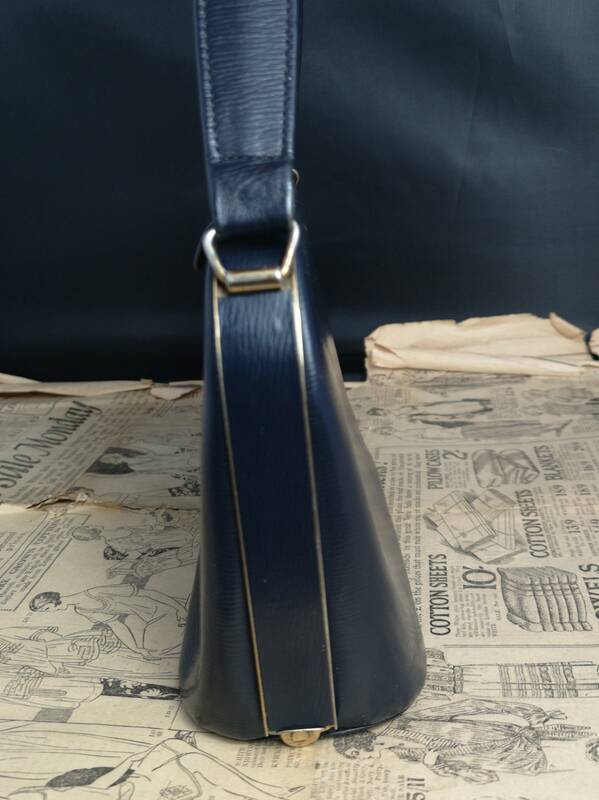 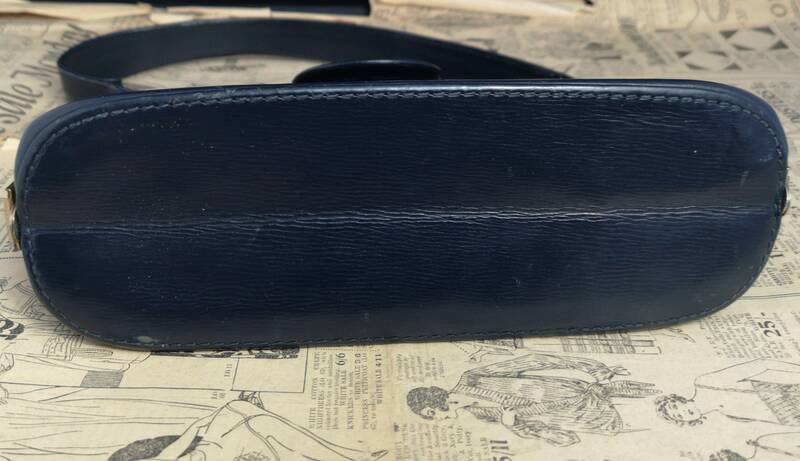 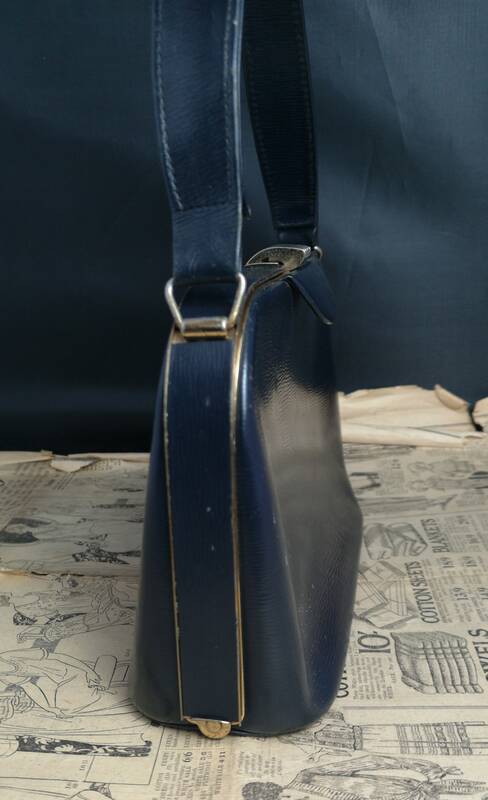 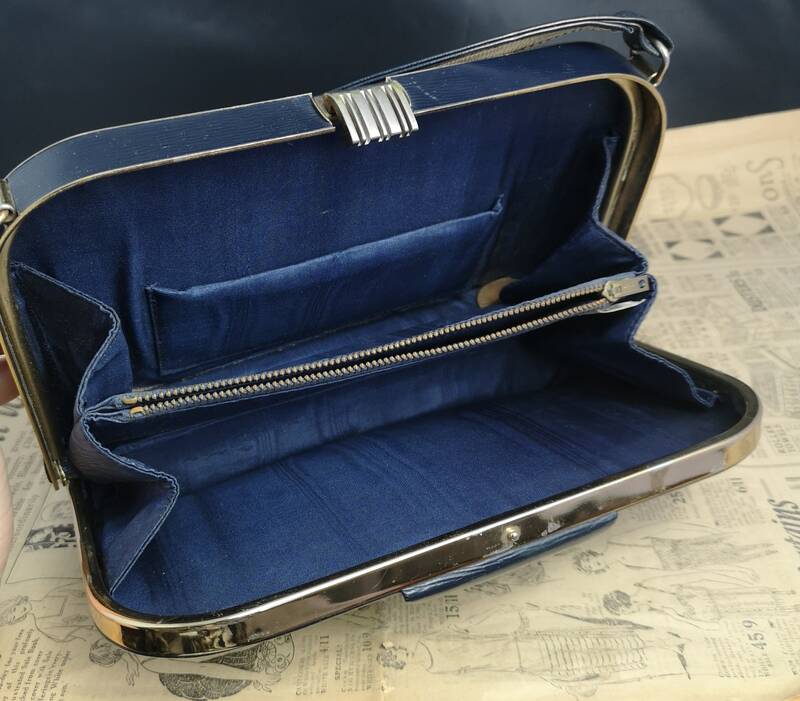 A stylish vintage 1950's A frame purse in textured navy blue leather with a short top handle and gold tone metal clasp and frame. 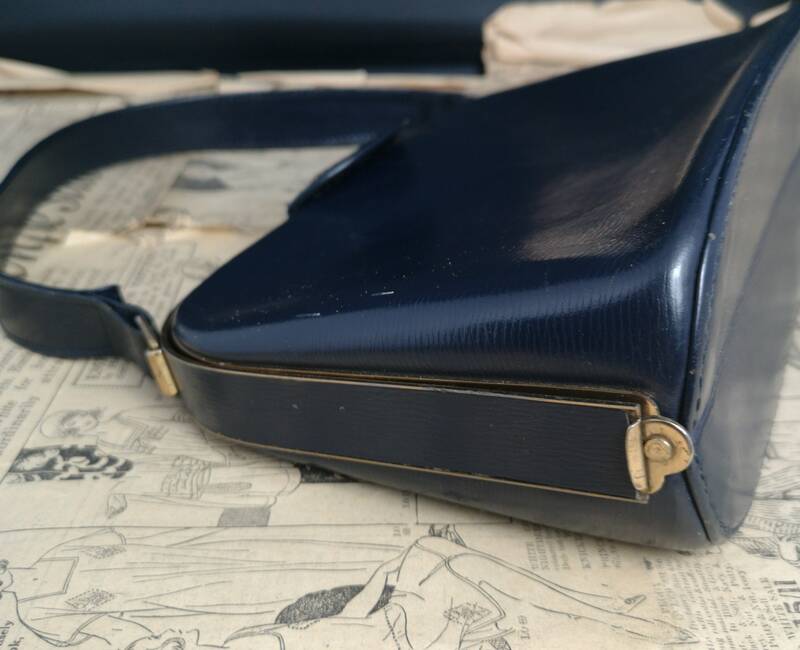 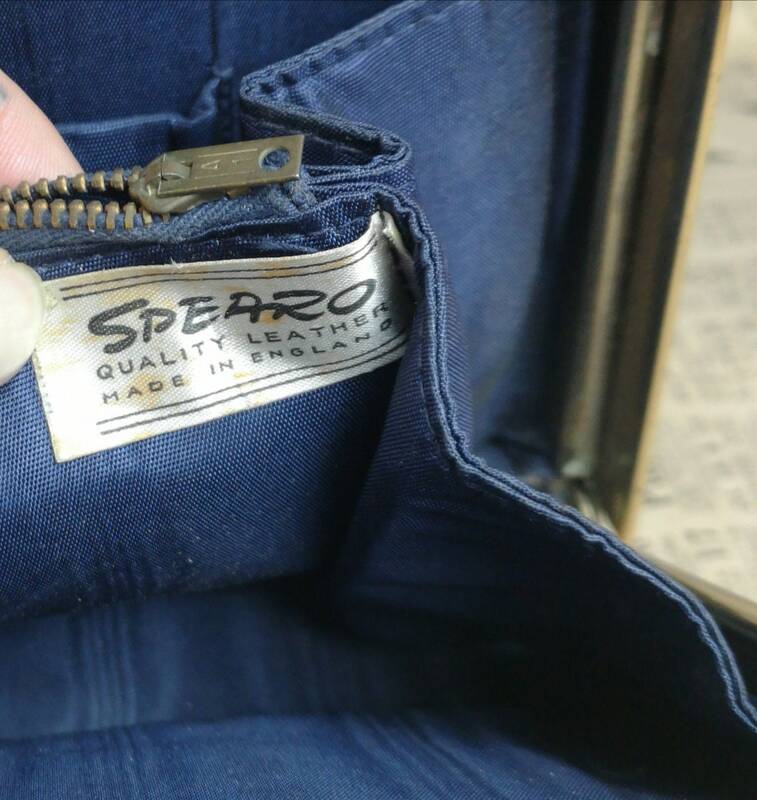 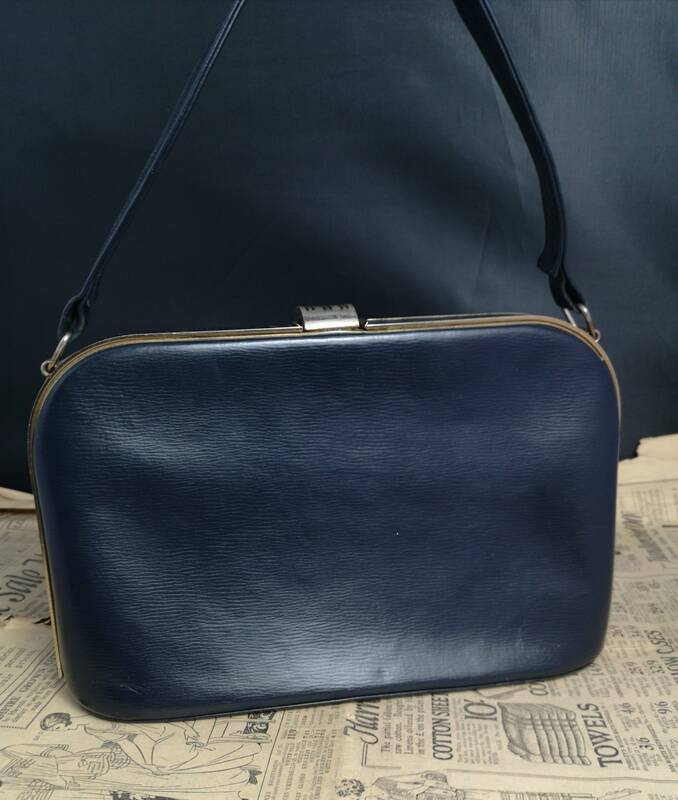 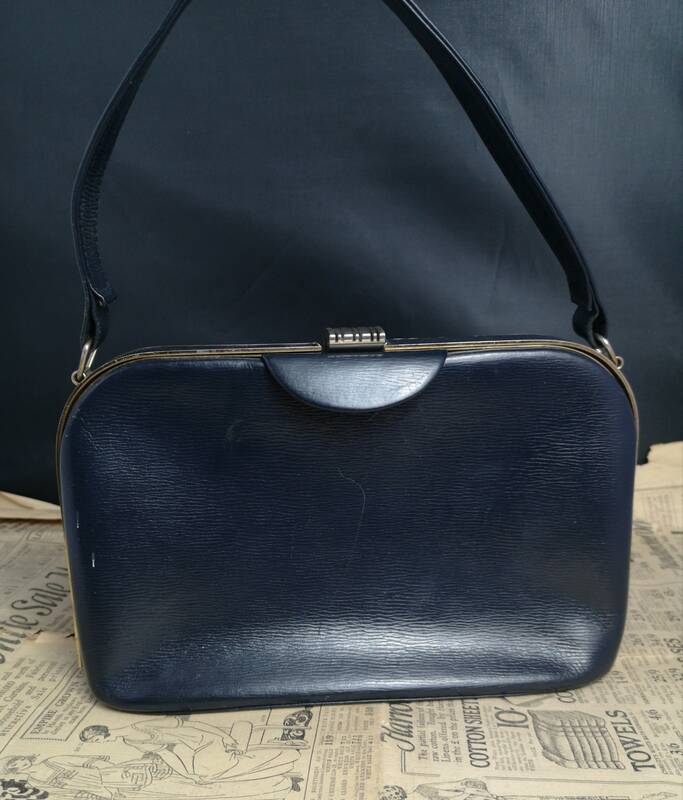 It has a navy moire lining and is labelled inside, it has a push lever clasp and a boxy A frame shape, the bag has an internal compartment. 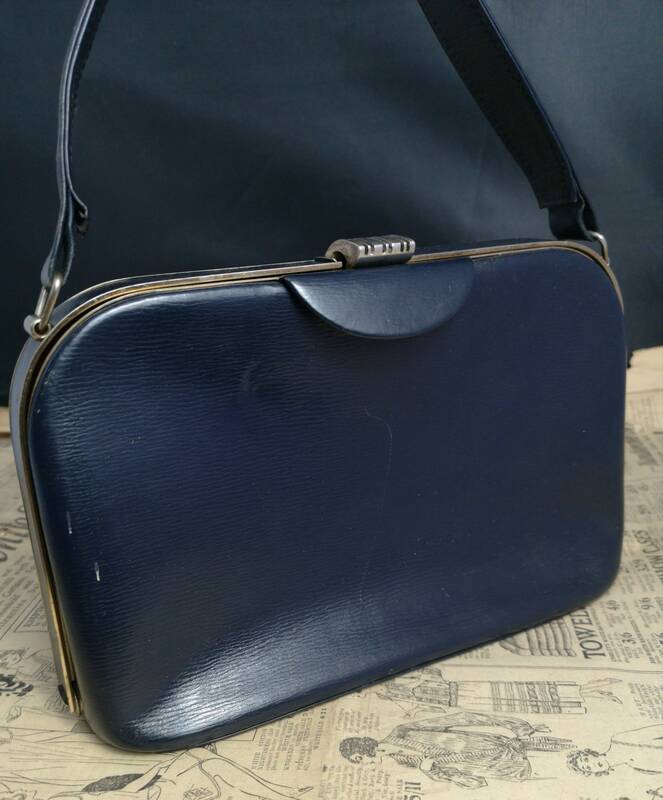 Good condition with some signs of use and wear, no rips or tears, some minor scratches and marks on the leather and some of the gold tone has worn mostly from the clasp.